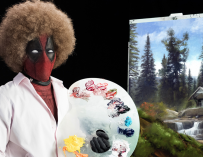 Deadpool 2’s plot synopsis has been revealed and it’s as funny and mad as you’d expect from the upcoming Deadpool sequel. Deadpool 2 (which might actually not be called Deadpool 2 by the way. Fox is still referring to it officially as ‘The Untitled Deadpool Sequel’) is all set to be 2018’s R-rated blockbuster hit. 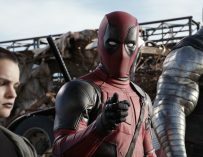 Fox released a new teaser for the movie yesterday and it full of the type of crude humour we’ve come to expect from Ryan Reynolds’ Merc With A Mouth. Fox also revealed the film’s plot synopsis which, if anything, is even more absurd than the film’s teaser. Check it out it all its ludicrous entirety below. After surviving a near-fatal bovine attack, a disfigured cafeteria chef (Wade Wilson) struggles to fulfil his dream of becoming Mayberry’s hottest bartender while also learning to cope with his lost sense of taste. Searching to regain his spice for life, as well as a flux capacitor, Wade must battle ninjas, the yakuza, and a pack of sexually aggressive canines, as he journeys around the world to discover the importance of family, friendship, and flavor – finding a new taste for adventure and earning the coveted coffee mug title of World’s Best Lover. OK, so it’s safe to say that this isn’t the film’s exact plot synopsis. I highly doubt that Deadpool will suffer a “near-fatal bovine attack” or be searching for a flux capacitor. That said, I wouldn’t put it past Reynolds, the film’s scriptwriters (Rhett Reese and Paul Wernick) and director, David Leitch to put strange things like that in their movie. At the very least, I’m pretty sure that a coffee with ‘World’s Best Lover’ written on it will have a brief cameo. The more I hear and see of Deadpool 2, the more I want to see it. The first film was unlike anything I had ever seen from the comic book movie genre. 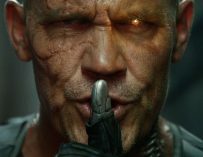 We had violent comic book movies before – the Blade trilogy, for instance – however, Deadpool was unique in its tone and the sheer amount of violence depicted on-screen. It certainly did a much better job with the character than Reynolds’ previous outing as Deadpool in the God-awful X-Men Origins; Wolverine. Deadpool 2 is set to hit UK theatres on June 1st, 2018. Are you looking forward to it? 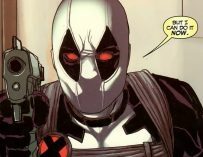 Could Deadpool Get To Wear His X-Force Costume In Deadpool 2?